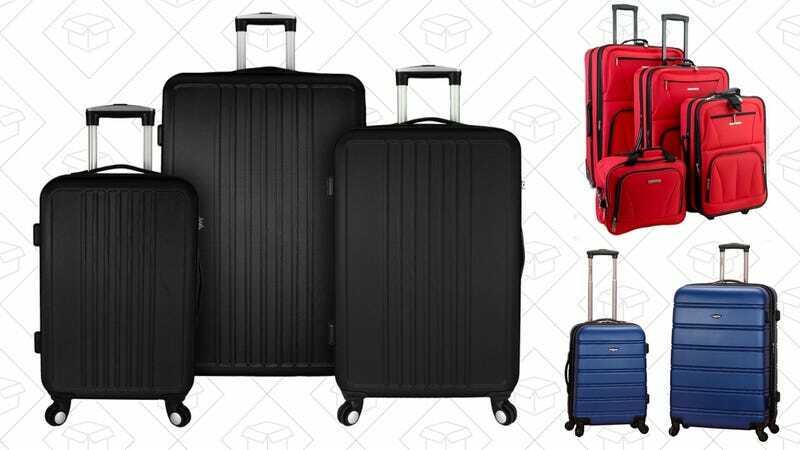 Home Depot is discounting a whole fleet of luggage sets today. You can pick up some significant savings on 3 and 4-piece sets that come in dozens of different colors. For example, this Omni hardside 3-piece set is listed about $20 below its Amazon price, and this 4-piece Rockland set has a good $10 discount from its usual price. This deal will only last through the end of the day or until the products sell out, so don’t let this deal leave the gate without you.